This cosy house is designed for a modern couple that has an interest in art, architecture and gorgeous décor. The attention to detail has made this home attractive, illuminated and perfectly styled from the layout of the exterior to the spacious and brilliant interior. This villa celebrates technology and innovation for optimum comfort and inviting charm. But, let’s take a closer look in admiration. Our first image takes us to the social hub of the outdoor area, which is perfectly integrated into the kitchen and living room, making it a welcome extension of the interior. 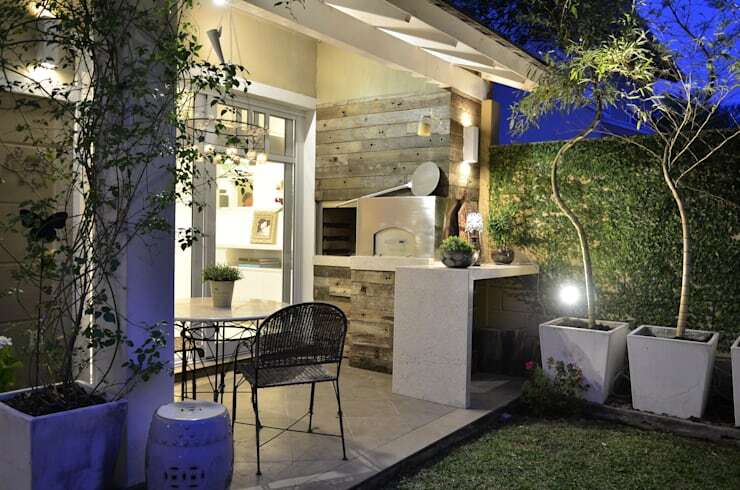 This recreational spot is great, allowing for comfortable outdoor dining or getting gritty with the popular barbecue that has a stone and rustic style, the architects of this home definitely knew what they were doing. This living room is absolutely amazing. It has an elegant style along with classic décor and perfectly distinguished colours that range from gorgeous greys to sublime white. The long sofa adds a comfortable seating space, while the warm rug and neutral décor is warm and welcoming. The modern design of this room is accentuated even further by the use of brilliant illumination, it’s sophisticated yet charming. Here are: 11 ways to tidy up your living room! 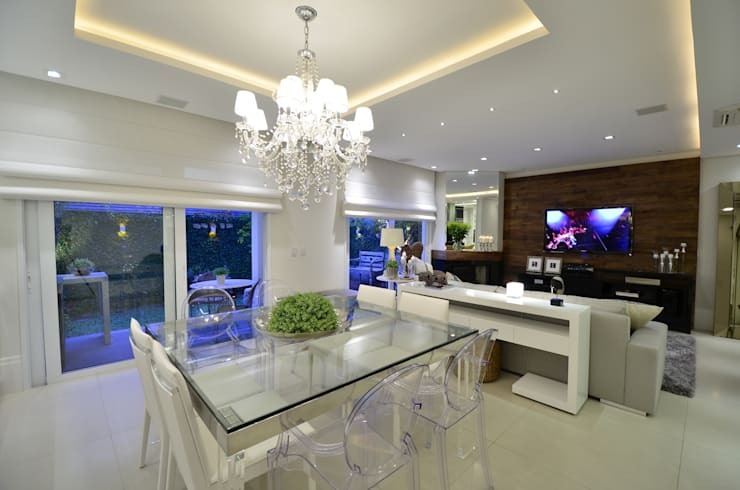 This open plan living space is the perfect combination for the modern home, with the dining room being the epitome of luxury and opulent style. The glass dining table is sleek and shiny bringing a stylish touch to the room that is further enhanced by the chandelier that elegantly bathes this space is bright light. The all-white decor along with the illumination and stunning table definitely makes this interior style well worth it. Relaxing is a huge part of this home, and this comfortable white chair below the staircase, makes for a great spot to just unwind and let your imagination take flight. The unreal yet graceful style of the English garden adds an enchanting edge to the exterior. It definitely creates a pleasant atmosphere that is enjoyable and stylish too. 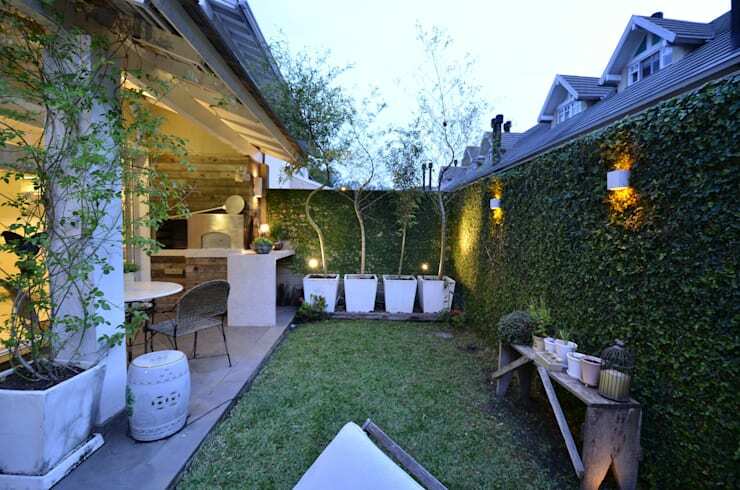 The greenery of the lawn and potted plants, as well as the rustic style of the outdoor area will make anyone want to enjoy the peace and quiet. 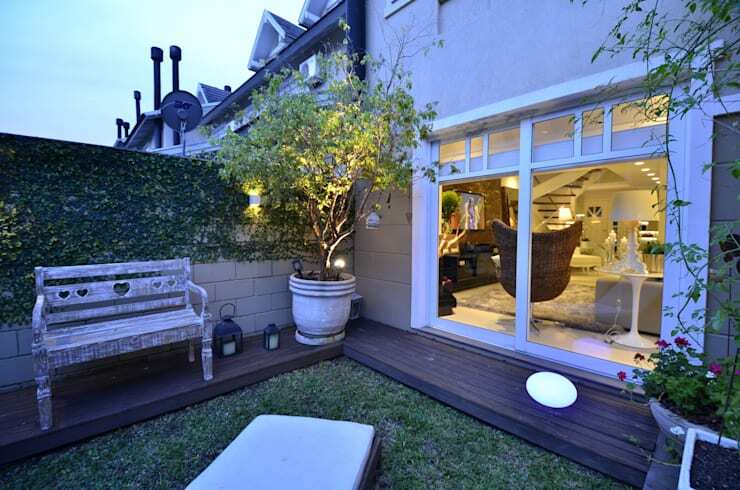 The illumination of the interior even adds some brightness to the outdoors at dusk. We have come full circle in our tour of this beautiful home, and as we head back to the recreational area we continue to admire the complementary garden décor and stylish potted plants that make this rustic home inspiration so fabulous. What did you think about the stylish garden?